Use the form directly below to let us know your league will be playing using our rules, how many teams you have formed, and give us a point of contact to communicate with! Each league will need one form. They are due on or before April 1 of the current year. Please include a check for the $25.00 state fee and team registration fee of $20.00 each. The mailing address is on the form. Get familiar with the Rules, before play begins. Here are the Ranger Supplement and the Pitching Rules. 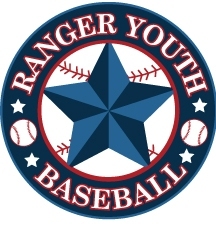 Keep in mind that Ranger Youth Baseball has chosen to adopt rules that govern play from the Dixie Youth Rule Book. If you have a question that the Ranger rule book doesn’t address follow the rule for Ozone play in the Dixie Youth Rule Book.